Note: as of July 2018, this film is in post-production with a completely different cast. Charles Dance took the lead. Same director and producers. You can read more about it at the IMDB page for The Book of Vision. 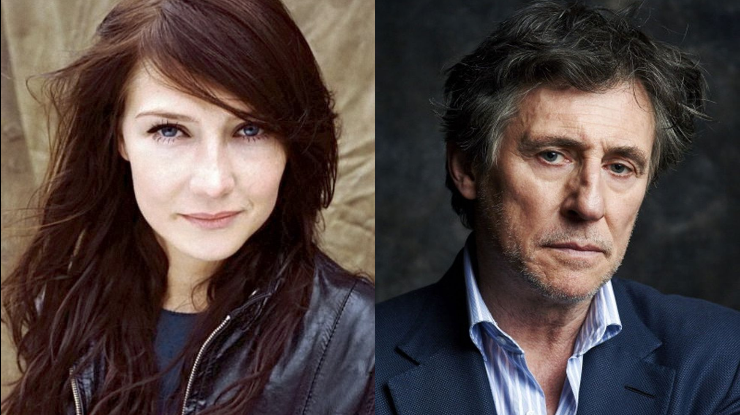 Gabriel Byrne and Carice van Houten (“Game of Thrones”) are attached to star in “The Book of Vision,” a time-shifting fantasy/mystery centered around the history of the doctor/patient relationship that Italian helmer Carlo Hintermann will direct and Terrence Malick will executive produce. Van Houten, who plays Melisandre in “Thrones,” will play Eva, an Italian doctor who decides to go study history of medicine at the National Institute of Health in Bethesda, Md. There she discovers the information about an 18th century doctor in the Southern German city of Halle, which was then in the Prussian empire. Byrne will play the Prussian doctor, and will also play Eva’s doctor in the present day. The screenplay is by Hintermann and Marco Saura. The film will be in English. Read the rest of this article for more details and stay tuned to this posting! As Melisandre in Game of Thrones, she has embodied all of the adjectives one can use about fire: smoldering and blazing and glowing and just plain red-hot! Her work in the series has raised a few eyebrows and scorched a few, as well. Why, you ask? Well, as the priestess of R’hllor, God of Flame and Shadow, Lord of Light, Melisandre likes to burn things in her fires–and she is often not wearing her robes as she plies her magic. Ms. van Houten has really captured both the seductive and the serious qualities of the character and made her a fan favorite. She has had strong roles in several films and also one important television series. Her films include Black Book, Valkyrie, and Repo Men. The TV series is In therapie, the Dutch version of In Treatment. How cool is that?! His most recent film is the documentary, The Dark Side of the Sun (Facebook page), a film that combines live-action with animation as it examines the lives of children suffering from Xeroderma Pigmentosum, a rare illness that forces its victims to shun daylight. 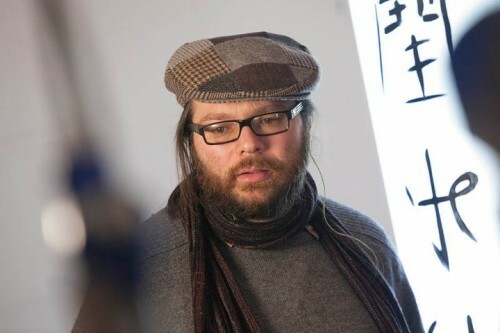 He has directed several short films and the documentaries Otar Iosseliani (1999), Rosy-fingered dawn: a film about Terrence Malick (Venice Film Festival, 2002) and Chatzer: Inside Jewish Venice (Turin Film Festival, 2004). He also directed the animated short H2O (Annecy Animated Film Festival 2007). Recently he produced and partially directed the Italy Unit of Terrence Malick’s The Tree of Life (Palm d’Or Cannes Film Festival 2011). He is co-founder of the production company Citrullo International with Luciano Barcaroli, Gerardo Panichi and Daniele Villa. He also works as a composer and musician. Badlands. Days of Heaven. The Thin Red Line. The New World. The Tree of Life. 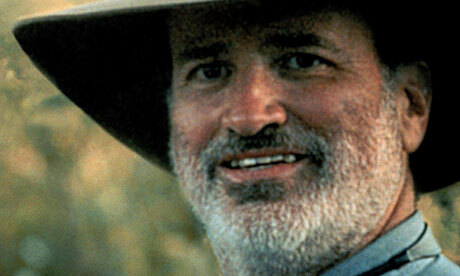 Film lovers wait for Mr. Malick’s movies patiently and he rarely disappoints. Paste Magazine has an interview series entitled The Greats. The purpose of the series? Whenever an older, revered icon of the film industry dies, there are plenty of testimonials and remembrances written about that person. But it’s sad that we only take the time to fully appreciate these people’s brilliance after their passing. Hence, The Greats, a biweekly column that celebrates cinema’s living legends. Considering that Terrence Malick doesn’t like talking about himself, or anything else, why not let Brad Pitt try to explain the filmmaker? Read the entire article to learn more about this “living legend” of the film world. As more information about The Book of Vision becomes available, you will see it here, so stay tuned! This sounds like a great story and a wonderful role for Gabriel. And we know Gabriel has acted as a German before with great success. I think about Little Women as Friedrich Bhaer. He was also in The Keep as a German if I remember right. We all loved Gabriel very much as Dr. Weston. I am very happy to read about this! Thanks for the great news, Stella! What nice news… I love the sound of that. Carice Van Houten was also in this movie opposite Sean Bean called Black Death. That was the first thing I saw her in before Game of Thrones. She was wickedly brilliant in Black Death.